Kinja allows anyone with authorship rights on a forum to share and unshare comments and posts. As moderators, we occasionally unshare a post here or a comment there from Oppo. There are a myriad of reasons that we would do this, sometimes because Oppo has already recently covered something, other times because we do not want Oppo to feel like all we have are re-runs and features from elsewhere. We definitely do this when any of the rules are violated in letter or spirit, and occasionally remove repeated shares from the same commenter in a short period of time. We do not always notify the person who shared the item(s), however if the situation warrants stepping in, we will do so and have a chat about the behavior. What we would like is for you, as authors, is, before you share something, ask yourself, "Why am I doing this?" And, "It is appropriate for Oppo?" If you have just had the best commenting day of your life, and have had a string of wonderful comments, instead of individually sharing each of them, please consolidate them and share them as a post. We would rather have some #shamefullselfpromotion (or #shamelessselfpromotion) instead of getting into the argument as to whether your comment was worth sharing. A little pride is not a bad thing. Many of you have often assisted us by removing shares that are inappropriate for oppo or that just do not benefit the community. If we have provided you with authorship privileges on this forum, it means we have entrusted you with this ability and that you are expected to follow the rules as outlined. We ask that you do not abuse this trust by unsharing comments or posts that do not violate our standards. Do not unshare someone's comments just because you don't like the author. If you feel that a poster is "oversharing" or causing an issue with what they choose to share on the forum, please let us know and we will address it if required. If however, the purpose of the unsharing is to remove a blatant violation of any of the other rules on the forum, then we thank you for your assistance. We understand that sharing your work, which you have poured your heart into, is important. Not just for the page views, or the attention, but because it is golden content like yours that makes this community as awesome as it is. And now that there are many of you with different group blogs for your own content, we also understand that you would like to foster your own community in addition to continuing to support and contribute to ours. Accordingly, we have codified a few guidelines for sharing posts and comments to Oppo. If you shared your post, and due to Kinja issues, it was not seen as it was meant to be presented, in these cases, preface your reshare with an explanation. We understand that kinja works in mysterious ways (and Nibbles is still with us, somewhere). If there is a theme day and after a time less than four hours your post is more than 6 pages back. For posts which are recurring and benefit the community as a whole (such as posts from moderators discussing the community, like this one) or benefiting a subgroup of the community in organizing an event (meetups, for instance) then slightly more periodic resharing may be appropriate. However when in doubt about this, please ask before sharing. If more than one week has passed from the date of the original share, and the topic is still highly relevant and would, in your eyes, benefit the community, you may re-share a topic once again. When sharing a comment from a post (your own or someone else's), please follow this guide: Does the comment as it will appear on Oppo (e.g. the first paragraph) stand alone, on its own, as a post, which will lead people to want to read more or is self-evident as to why it was shared without any additional context? If it doesn't meet this, we tend to look negatively at the share, because essentially, it is just noise. If any member of the moderation team unshares a post (not a comment) due to a perceived violation of the rules above, we will notify you and give you the reason why the post was unshared. Additionally, although we do not currently have the ability to track unsharing, this does not necessarily mean that this will always be the case. Anyone who is found to be unsharing material simply due to a disagreement or a general dislike of a person or for any other reason which could clearly be construed as a violation of the rules in the Oppo Handbook, we will treat this behavior in the same manner of other violations (warning, suspension or banning depending on situation). 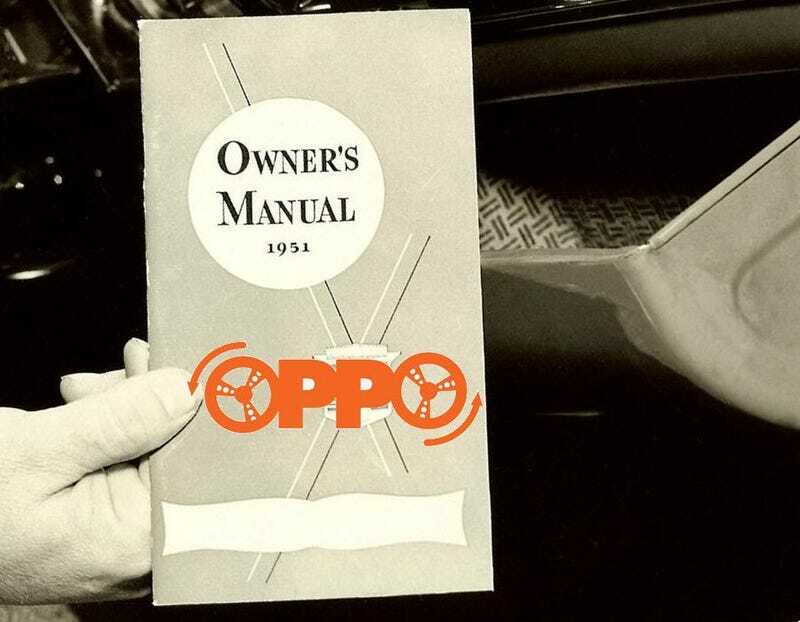 This post has been linked to the Oppo Handbook and referenced as an addendum. Have questions? Want us to clarify anything? Please let us know!